It looks like the formation of wave  is going to take more time than we thought earlier. The price has completed an impulse in wave (A). After the local correction is finished, we can expect the pair to continue growing up while forming wave (C) of . In the future, the price may make a reverse and start falling down in wave . 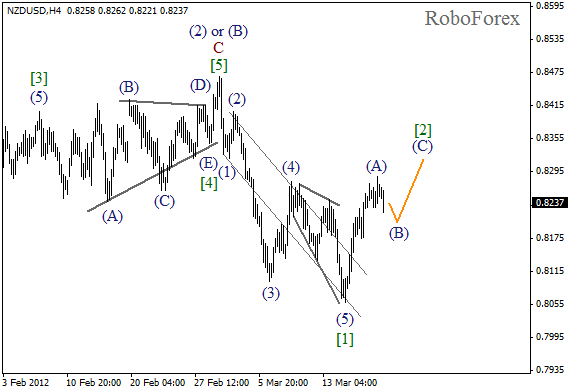 If we take a look at more detailed wave structure, which is shown on the H1 chart, we can see that the price has completed a bullish impulse in wave (A), and currently is forming wave (B). 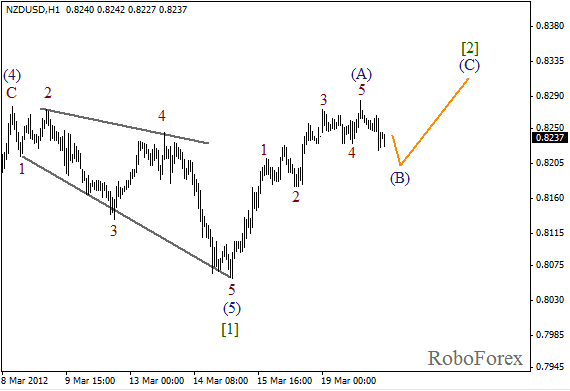 In the near term, we can expect New Zealand Dollar to grow up for about 100 pips in wave (C) of . Wave (2) may be a bit longer than we expected earlier. 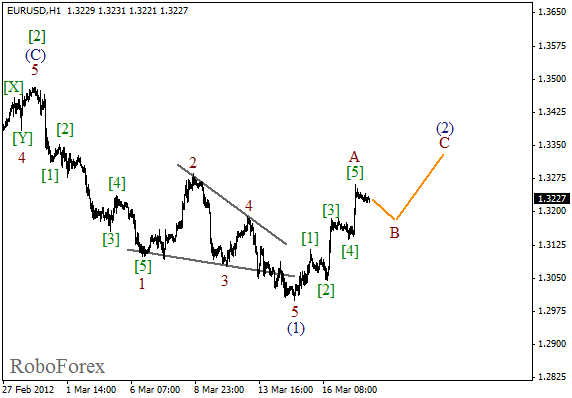 We may assume that right now the price is forming an ascending zigzag pattern with an impulse completed inside wave A. After the local correction is finished, we can expect a short-term upward movement in wave C of (2). At the H1 chart, after completing an initial descending wedge pattern in wave (1), the price has formed an ascending impulse in wave A. The correction in wave B may continue during the day. 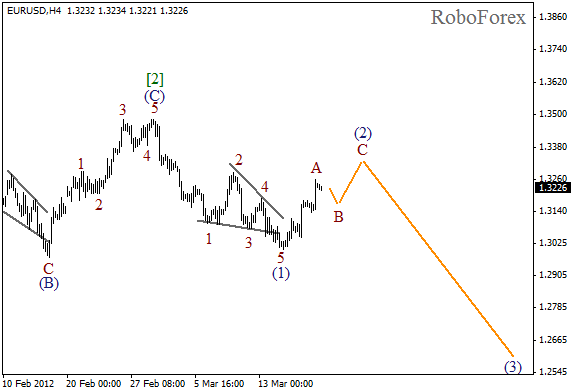 In the future, we can expect the market to move upwards for about 100 pips while forming wave C of (2).